Never in a million years, or so I once thought. Posted by ThatSamGirl in February; 2014. As you are all well aware, for the longest time I have believed that the defining moment would be when I finally stepped back out there on that diamond proudly wearing the number thirteen, dressed from head to toe in the beautiful colours of maroon and white. However after the weekend that has just passed, it would seem that perhaps my original assumptions were slightly off. 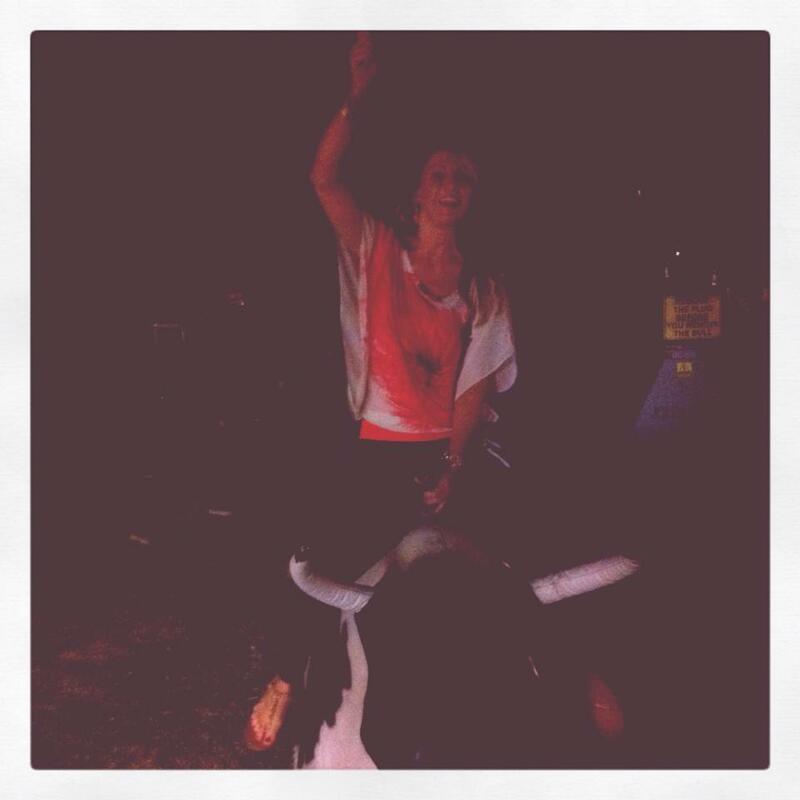 Never in a million years would I ever have considered the possibility, that riding a mechanical bull would be seen as somewhat ‘crossing the finish line’ in my long road to recovery and yet ironically enough, here I am, wondering how I ever could have imagined this moment to play out differently. Needless to say; after a wonderful night filled with smiles, laughter, dance-offs and Taylor Swift sing-a-longs, finding the courage to spontaneously ride a bull somewhere in between was certainly the sprinkles on top of an already perfect cupcake and having the pleasure of sharing that moment with countless favourites, is something that I will forever cherish. Not only did I spend the entire night smiling until my cheeks hurt, laughing until my eyes watered and dancing up a storm until I was somewhat unable to breathe, but each and every time that I crazily jumped on that bull I did so without the slightest hesitation and even that simple factor alone was enough to change my entire world. So while I may well have spent the rest of the week paying for the consequences of my rather courageous actions, regardless of the temporary pain that was caused by my obviously limited cowgirl experience, the overwhelming joy of finally feeling alive again in a way that I had long forgotten, was without a doubt worth every single one of those ‘blink and you’ll miss it’ bull rides.